I typed in the IP address of 190.79.208.167 to stop this guy from sending me any more bogus comments. 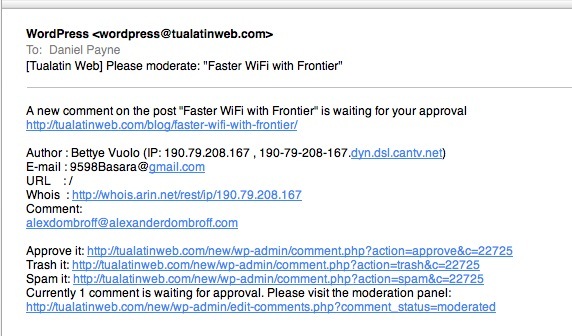 Thank you WordPress for being so flexible to use, and now more secure at stopping spam comments. The only downside now is that legitimate comments from that IP address will now also be blocked, but I can live with that.